Search Engine Optimization (SEO) is one of the most critical pillars in your entire digital marketing strategy. Over three-quarters of all online purchases begin with an online search, and about two-thirds of those searches are on Google. While some say "SEO is dead", any online marketer or ecommerce website owner worth their salt will tell you that it's even more crucial than ever these days. This free guide will provide you with some of the basics you need to take your search engine optimization to the next level. There are trillions of websites out there vying for website traffic and sales. There are billions of new web pages every day. How are your websites going to stand out on Google and other huge search engines like Bing, Yahoo, Facebook, and Amazon? That's where search engine optimization comes in big. Yes you still need unique, consistent, and valuable content. Yes you still need to grow brand awareness. And yes you still need to offer an exceptional product or service while providing a strong customer experience. But SEO is nearly as important or just as important as those other areas. There have always been two approaches to SEO strategy: white hat and black hat. White hat involves utilizing tactics that are approved by Google and other internet titans. Black hat involves manipulating the search engine results to give your sites an unfair advantage and possibly misleading the people doing the searching in the process. Domain Authority: How likely your entire website is to be found in search results. Scored from 1-100. Domain Authority is directly affected by the quality and quantity of backlinks to your website in addition to the age of your domain name. Page Authority: How likely a specific page of your website is to be found in search results. Scored from 1-100. Page authority is directly affected by Domain Authority and age of the page, along with the quality and quantity of website backlinks. On Page SEO refers to the techniques that you can control directly that can affect your page's ranking factors such as Mobile Friendly responsive design, quick Site Speed, optimal Meta Tags, clear and descriptive Title, custom URL, relevant Keywords, previously unpublished content of at least 500-1000+ words (although many people will say 2,000+), alternative text for images, and minimal / unobtrusive Advertisements or Popups. Now in addition to being mobile-friendly your website and content needs to be optimized for the growing number of voice searches being conducted by Alexa, Siri, and Google with the increasing popularity of Google Home and Amazon Echo. Off Page SEO involves getting your links and content shared and viewed on social media, link directories, email marketing, PPC campaigns like AdWords, and other websites. And that of course brings us to building backlinks on other websites to your content. IRL (in real life) events such as networking groups and industry conference attendance could also fall into the off page SEO category that could end up improving your search results. Building backlinks is one of the most challenging portions of off page SEO even for the best SEO companies. You want dofollow backlinks from a large quantity of high domain authority websites in your niche and with the anchor text that accurately describes your page. It's easier said than done. Guest blog posting is another exceptional white hat method of building high-quality links on other relevant websites. A simple method to improve blog or website performance is to include several internal links in most posts. The internal links (you'll see several on this article alone) help to improve the overall visitor experience by providing them with additional resources on the topic you're covering. In the process it also helps boost the SEO for other pages on your website such as additional blog posts or conversion pages. If a visitor clicks on one of your internal links then that increases time on your site and decreases the bounce rate on your website. These internal links are obviously used in conjunction with some external links to relevant and high quality websites that provide additional information and a high domain authority. Make sure that your internal links are naturally occurring and not forced to the point that it negatively affects the reading experience. Also use the appropriate anchor text for accuracy and optimization. Another consideration that many bloggers and website managers don't consider is broken links and link rot. Internal and external links on your site can become dead links if they no longer point to a viable site. If the links are internal you can easily fix them or create a redirect. If they are external links, then you can remove them (if those websites no longer exist) or modify them to go to viable websites. This happens a lot over the years (even more so for bloggers posting plenty of guest posts), especially if an external website switches providers or adds a new SSL certificate. Top SEO software or free broken link checkers can determine if you have any of these on your site. Or you could use a free program like Broken Link Checker to find the majority of the broken external links on your sites. You might also be getting some links from spammy or penalized websites. These low quality backlinks don't help your Google PageRank and can even damage it. Determine which spammy links are pointing to your site and use the Google Disavow Tool. You can and should also contact those websites to ask that they manually remove those links. Just disavowing it doesn't always get the job done and you don't want your site to be penalized as a result. Just when you think you've mastered SEO, Google and other search engines change up their algorithm and you'll need to tweak your website accordingly. You don't need to live and die by every update Google makes, but it can't hurt to be aware of the newest criteria and adapt accordingly. Google Analytics is an obvious go-to for SEO monitoring, but I always like to also check out the versatile tool Google Search Console (formerly known as Google Webmaster Tools). It allows webmasters and bloggers to check on the indexing status of web pages, keywords, search impressions, CTR, and ranking for keywords. It also allows you to quickly and easily submit sitemaps or submit individual pages to index. You can also check to see if there are any crawling or indexing errors or pages that aren’t mobile friendly. There are countless other features but it’s a great free and user-friendly tool for website developers or bloggers of all levels. In addition to Google Search Console and Google Analytics, I utilize Semrush (free version), and Moz Link Explorer (formerly Open Site Explorer but recently improved) primarily. There are some other good free options like Majestic or Ahrefs as well that I've used in the past with good results. For SEO tracking purposes overall I’d definitely pick SEMrush as one of the best SEO rank tracking tools for marketers. SEMrush includes a wide variety of features for website audits, social media monitoring, rank tracking, backlink auditing, competitive analysis, link building, keyword research, on-page SEO suggestions, and paid vs organic search analysis. It has an incredibly comprehensive offering for a reasonable price to help optimize your websites and track your competitors in detail. I’ve been successfully using SEMrush for years so I find it easier to use than some of the other options available. I always check all 2,700+ of my blog posts and web pages to make sure that they are mobile-friendly. Google checks to make sure that the pages are responsive, quick to load, elements are fitting the page, and font isn't too small among many other factors. Google Search Console provides you the specific pages with issues, what needs correcting, and the ability to resubmit individual pages for indexing after the corrections are made. This ensures that my web pages are providing a better experience for visitors on mobile and that my sites end up ranking higher in mobile search. Tech-savvy customers are buying tens of millions of Amazon Echo, Google Home and Apple Home Pod units and a variety of similar devices like Sonos One. Your website, content, and keywords, and overall SEO tactics need to start reflecting that and optimize for voice. Keywords will often times be long-tail and conversational instead of a few words. Your writing should reflect how people actually speak, especially how they ask questions and expect answers. This will continue to be a growing trend as these devices become more popular and more advanced. Yes all website owners want to beat the competition and build their brand online as soon as possible. They will search for search engine optimization advice and tools, hoping that they will deliver more visitors and customers. However, SEO can backfire, and often does if you try and cut corners or cheat the system. If you keep on using methods that worked a decade ago, you can easily get penalized by Google , and you'll actually lose your existing traffic. Here are several SEO mistakes to avoid. You might have already heard about the importance of link building, but have no idea how much the quality and diversity of links matters. If you fall for a cheap company’s promises of hundreds of links in a few days, your site might get penalized by Google, Bing, Yahoo, AOL, etc and never to be found in search engines again. Search engines will notice that you gained hundreds of links in a short period of time, and if they are not relevant to your site, you will be suspected of cheating. Naked links are necessary, but you should also focus on keyword-based anchor links. While publishing your link to various directories and sites can boost your ranking, you will also have to make sure that you link to the most relevant piece of content on your site or blog, instead of simply putting your landing page link into other sites’ blog posts. A variety of links is needed to get good long-term search engine rankings. Google prefers variety when it comes to building links! It is challenging to find the balance and find the optimal meta and title tag optimization that doesn’t look spammy, still attracts relevant traffic. Title and meta tags are important for your site, but if you try to jam as many keywords as possible, you will get negative results. Make your title and description relevant to your site, and inform your visitors about what your page is about. Sometimes website owners focus too much on appearance, and forget to optimize the web pages to different displays and internet speed. As a result of too many large images and high resolution video files, flash intros, your site will be slow to load, and you will lose visitors. At the same time, a slow website generally ranks lower in search engines since site speed has always been a ranking factor. If you want to get more leads from your website, you might be thinking of increasing your content’s keyword density, so your visitors find you easier. This method can also backfire, and you will face search engine penalties. Focusing on customer experience and content quality is more important today than keywords. 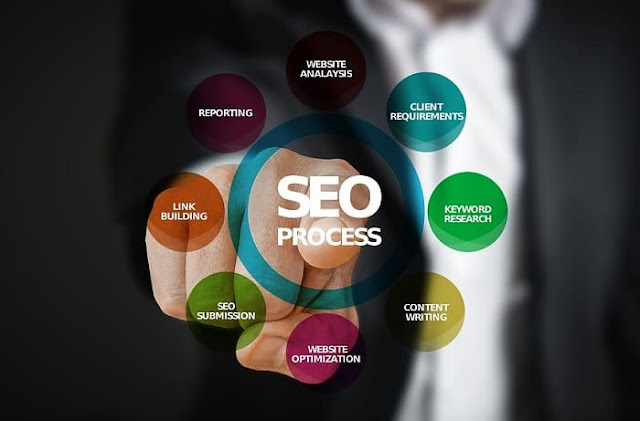 Website owners looking to avoid the most common SEO mistakes that can cost them traffic and customers need to make sure that they build their sites with the customer in mind, and then start optimizing it to search engines. Avoid cheap bulk link building services, and make sure your backlinks, content, and meta titles look natural and relevant. There are countless articles and books that go into the hundreds of factors effecting SEO on Google and other search engines. This is just an express guide for SEO beginners and intermediate bloggers. I have plenty more articles published on the finer points of search engine optimization and I (along with several expert guest bloggers) will be publishing many in the near future. Whether you're growing your blog, seeking funding for your startup, or trying to sell more product, search engine optimization is crucial to your process. Invest in SEO and you'll reap the rewards in the months and years to come. I hope you enjoyed this article about SEO simplified and strategies to avoid to prevent shooting yourself in the foot.